Tackle boxes: as much a staple of fishing as the fishing pole or the fish themselves, and it isn’t hard to see why. After all, bait is small, cumbersome to carry any other way, not to mention usually alive, so it’s best to keep it all in a box that you can conveniently find it all stored inside. But of course, where there is a business, there are those within that business who do it better than others. You may think it odd to rank such simple mechanisms as a tackle box, but it’s in fact much more complex an idea than you give it credit for. Tackle boxes are one of fishing’s oldest traditions, and the proverbial retellings have only gotten more complex, more practical, and generally better with each passing year. However, of course, when you have such an environment, there can be only one, or in this case ten, that stand above the rest. So load up your truck, gather up some of your buddies for a fun morning of fishing, as we countdown. Kicking things off right with one of the biggest names in fishing supplies: Plano. They’ve been in the business forever, and their work never ceases to amaze, and the same is true here. Although not the most original name in the world, this tackle box is still one of the best things you can ask for when looking for a new tackle box. It can be annoying having to open up your tackle box and look inside for what bait you’re looking for. Simply being able to peer inside before getting everything open and strewn across the floor would make things so much easier. Plano had the same idea, which is what drove them to make the Diraview Lens, a durable, completely see-through lens in the top of the tackle box which gives you a clear look inside. Most tackle boxes think that bait and other such small items are all that fishermen stuff into these boxes. Plano, however, has the experience to know better. As such, the 7771 is outfitted with an extra-large spacious upper container meant solely for larger items. Now you can store the things that other tackle boxes just wouldn’t let you store. This box may seem a bit expensive. But seeing as how this tackle box will last you years down the line, paying once for something that will last you years sounds like a much better deal. Giving the second-place spot to Plano again, we have the Plano Angled Tackle System. This is what you want when you need to get out a certain bit of gear right at the second you need it. It’s one of the best storage devices on the fishing market right now. And if you need the reasons why, you need only read on. With other tackle boxes, you end up having to lug around these big metal boxes filled with bait and other assorted goodies, but they aren’t that fun to move around, are they? With the Plano Angled Tackle System, which only weighs around 5 pounds, and stands at around 18X9X10 inches, you’ll have absolutely no trouble at all moving this tackle box around. Easily and quickly gaining access to your gear should be at the forefront of every manufacturer when they make a tackle box. And when it comes to that aspect, the Angled tackle system has everyone else beat. Putting the three trays inside the box at a slight angle, they can be pulled out easily, even if you’re sitting completely upright and not in a position to bend down to its level. This tackle box is extremely budget friendly given the precedent set by its peers. Coming in at #3, we have another of the more famous fishing manufacturers, SpiderWire. While having not been in the business as long as Plano, that doesn’t change the fact that SpiderWire is still one of the greats. And their Wolf Tackle bag is no exception to this. 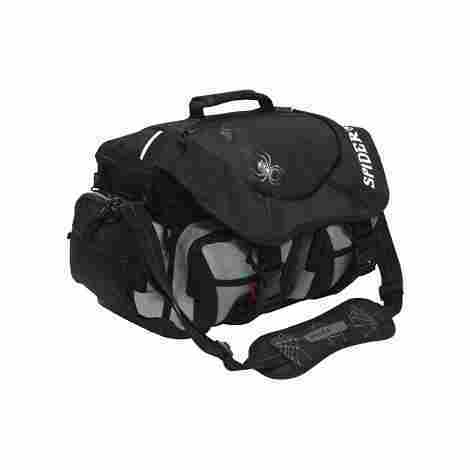 Durable, waterproof, and armed with a wide variety of assets not usually seen on the tacklebox market, this tackle bag is sure to impress. 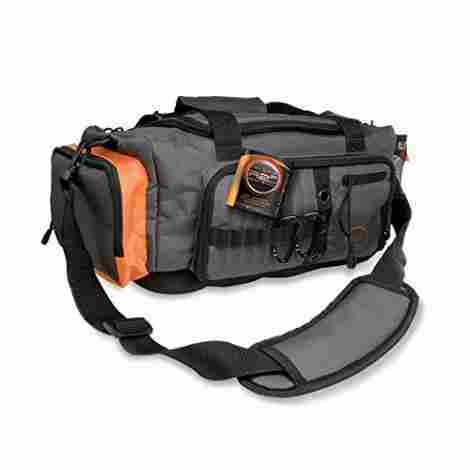 This is the wolf’s best asset, the fact that it contains a wide assortment of pockets, compartments, and hidey holes, that you can use to put whatever you need in safe storage. These include tool holders, and even four interchangeable, durable plastic trays. The outer mesh pocket of this bag, where objects you don’t need right then but may need soon enough later that you don’t want to put them in the bag itself, is rubberized for strength. Combine that with the incredibly strong bottom and 1680 denier nylon fabric, and you have a bag that will last you a lifetime. This tackle bag is not only durable, reliable, and has more pockets than any man reasonably knows what to do with, it’s also very affordable. We return to our friends at Plano for our #4 spot, the 1444 Magnum Guide. Part of the larger Magnum Guide line of tackle boxes, this tackle box is a perfect example of a no-frills type of tackle box. If what you’re looking for is the basic brand of tackle box, then this is about as good a version of that that you’re likely to find on the commercial market. 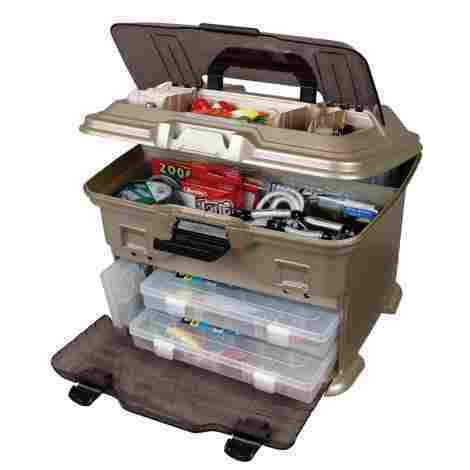 Looking at pictures of this tackle box, you may see it as storage for bait, tackle, and other small objects. And you would be wrong, as there is so much more storage contained in this little package. Open it up, and you’ll find a wide assortment of trays, compartments, and wells perfect for hiding lures, tackles, and bait of any shape and size. Have some size 3450 boxes that you need to store in the tackle box but can’t seem to find a place to put them? Not to worry, as this box comes fully customizable, allowing you to switch and flip the interior of the box to your heart’s content. So, if the interior of this box isn’t to your liking, don’t worry, you can change it however you like. This tackle box isn’t just affordable, given all the features that it has to offer, it’s downright cheap. Next up, at #5, we have Okuma Fishing and their tackle roller system. Not every tackle box can be a cute, easy to carry little trapezoid; sometimes you need to break out the big box. This is where Okuma comes in. This tackle system certainly earns its name by being big enough to house the fishing gear of over 4 people at once. The wheels, while not as spread out as some would like, move fairly smoothly on the surfaces that they need to. That being the hardwood and metal of a boat floor. As long as it’s a relatively smooth surface, this box has no trouble at all. What sets this box apart from the others is that it’s made of ripstop fabric, which, as the name implies, is a kind of fabric designed to stop any kind of intruding object from causing too much damage. The biggest downside to this box is its cost. This, as you can imagine, is something of a problem for a lot of people but considering how much space this box provides and how strong it is against physical damage, the lowball of this cost is undoubtedly warranted. Another decently big name in the business is Ready 2 Fish, which have carved out a comfortable little spot for themselves, where they can survive with the big dogs, while still making a quality product. Which brings us nicely to our #6 spot, the Soft-sided tackle bag. Being a shoulder strap bag, this bag provides many conveniences that are otherwise impossible with other types of bags. For one, the strap has a wide cushion attached, so you can carry it for longer without getting tired. Secondly, the shoulder strap also has a water bottle holder and a mesh cargo net. The uninitiated reader is probably flabbergasted to learn that a lot of tackle boxes aren’t waterproof, considering how inevitable it is that a table box or bag get soaked in water. Well if waterproofing is a priority for you, then look no further than Ready 2 Fish, as this bag is outfitted with water-resistant fabric and an extra resistant bottom that ensures protection for your gear. The price range for this bag depends on the retailer you’re consulting. So, the price of this tackle bag can either be really low, or very expensive. If you don’t like moving around too much when fishing, opting instead to fish on the shoreline or on a boat, then the Berkley Sportsman Pro Cart is exactly the tackle box you’ve been looking for. This box isn’t just great at carrying everything you need for a fun and fulfilling fishing trip, it’s also vital if you’d rather not put your body through needless physical shenanigans. 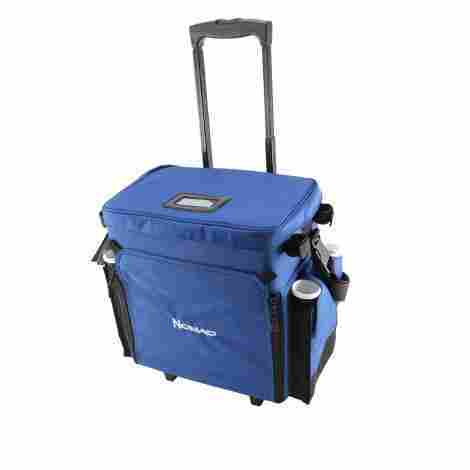 If you don’t plan on moving around all that much while you fish, then this is the perfect tackle box for you, as it is both portable, able to hold a wide range of tackle and bait as well as other items, as well as having four different sleeves for fishing rods. The box in question stands at about 17.25 X 15.25 X 11.25 inches, meaning that you can essentially store as much and as many kinds of fishing tackle as you need on this hypothetical trip. The price, again, depends on the retailer. However, it’s more forgivable here due to the fact that this tackle box can hold so much and is so durable. Take in the factors of what this box is offering you, and suddenly the price tag becomes a bit more reasonable. But sometimes surviving a day of fishing isn’t enough for a fisherman when it comes to his tackle box. What about those wonderfully odd fellows looking for a tackle box that could survive a bomb blast? For those special folks, there’s the SKB Tackle Box. This box isn’t just durable, it’s made from rotationally molded and hardened plastic, with an extra helping of stainless steel hardware to give it that extra bit of resistance. Customers who have bought it before having reported having dropped it off of moving vehicles, hit it with increasingly large objects, and other actions that would doom other tackle boxes, that this box shrugged off without so much as a scrape. Loading is pretty smooth with this box, for what it’s trying to be primarily. Simply open the latch, then open the sides, and out will come a series of trays, perfect for lures, extra reels, and other bits and bobs that you wouldn’t be able to keep in another box. The biggest problem with this tackle box is the price, which is the priciest on this list, bar none. It’s easy to pass this box by for being too pricey. But then again, considering what this box is made out of, it isn’t hard to see why it costs so much. Coming in at number nine, we have another simple, but effective tackle box. 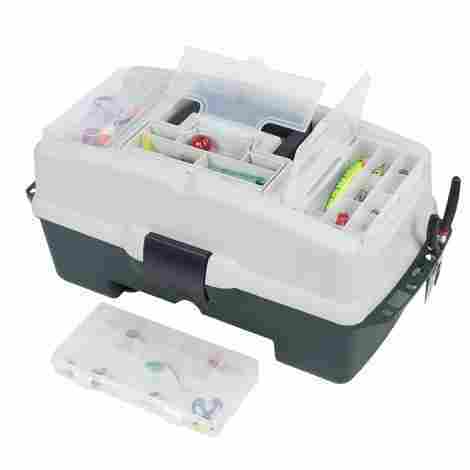 One may look at the Wakeman Fishing 2 Tray Tackle Box and see what most people think of when they hear the term “tackle box.” White lid over dark green underside with trays and other compartments inside. But this tackle box does just enough to bring it ahead of being #10. Sometimes you need to keep something somewhere but with no idea where to put it, and your only option is your tackle box, except the thing you’re trying to put down, isn’t tackle. Luckily, this tackle box comes equipped with side shelving that lets you put up anything from spare lures you plan on using later to tools such as cutting tools you’re using to cut lines. Looking at pictures, you’d likely suspect the main drawback to this box to be its small size. You’d be mostly right, but it makes up for it by taking full advantage of the space that it does have. All you need to do is open it to reveal just how much storage space is available, with at least three trays that can hold dozens of lures, bait, and tackle. 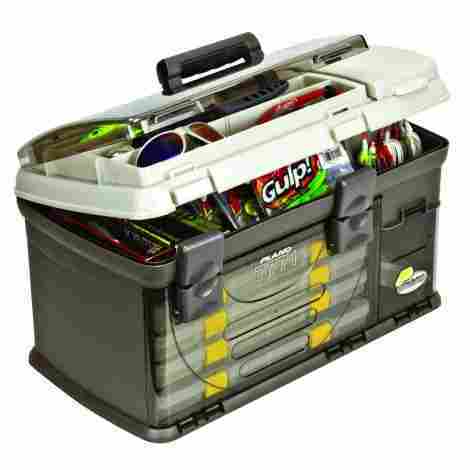 The best thing about this very economical tackle box is the equally economical price. This tackle box is perfect for the fisherman on a budget. 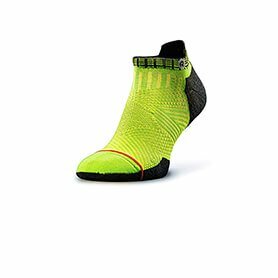 Coming in at #10, we have Flambeau’s Outdoor T4 Multiloader. While in no way a bad multiloader tackle box, it mostly focuses on doing what it does really right instead of trying anything new or unique. Does it accomplish those goals? Well, it wouldn’t be here otherwise. The main problem with this tackle box is the organization of its content. With that said, however, the amount of content it manages to hold is in itself impressive. 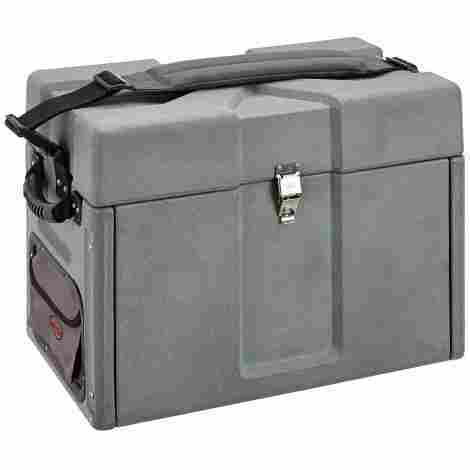 This box comes with an easy to open upper lid, a central latched section, and several sections to store utility boxes or even larger gear. The price range is pretty straightforward and tight for this one. A cost that matches the value of this tackle box just right, as it doesn’t do anything warranting a higher price, but is of legitimate quality enough to be worth the $40. Every fisherman needs a tackle box at some point, regardless of how serious they actually are about the sport. Whether it’s a hobby or if they’re going for a professional career, you’re going to need a tackle box. They hold everything you need, including bait, extra lures, tackle of course, and even some other gear that you may need. For instance, one of the higher up spots had slots that you could fit other fishing poles onto, which definitely earned it a high spot on the list. The basics are important, yes, but equally important is the need to innovate, expand within boundaries, or even push beyond them. And that could mean anything, from adding a whole new feature to just reworking an already existing feature in a way you didn’t know you wanted. This is a truth of all businesses, and definitely true of tackle boxes as well. Now, there is, of course, the question of why one would even rank tackle boxes at all. Surely if they work, that’s enough. Well, simple, because in any business, there are going to be people who do better than others, it’s just how things work. However, if #10 enticed you more than #1, by all means, go buy it, as none of the entries here are bad. So, if any of these intrigued you, go out and buy them, find a nice quiet morning, and get some fishing in to start the day. Of course, when you’re ranking something, you need some kind of criteria in order for everything to be consistent. Here is the criteria to be on this list. When fishing, you have one of two modes: it’ll either be calm, relaxing and peaceful. Or it will be the most insane, hectic and dangerous experience of your day. There is very little in between, so best to prepare for the latter by buying a tackle box that can actually take some punishment. The SKB Tackle Box got as far up as it did on the pure merit of its durability alone, that’s how important this factor is for tackle boxes. So, make sure that you’re buying a tackle box that can take its licks. One key thing you need to remember about tackle boxes is that they’re still boxes, so you should by all rights be able to carry them and be just fine. That’s the factor you should look for in the weight of your tackle box. Regardless of its actual weight, the question you should ask yourself is “Do I see myself carrying this all the way to my favorite fishing spot, all around the fishing spot, and then back home again?” and then choosing based on that answer. Now, granted, there are times when this criterion must be amended, such as in the case of tackle boxes that are meant to be rolled around like a suitcase, not carried like a bag. In this case, you should ask if the weight of the box will get in the way of you being able to effectively roll it around. Fishing is about two things: waiting for incredibly long periods of time as you sit and wait for a fish to bite, and also for having just the right tool at just the right time. And where else are you going to find that tool than in your tackle box? So obviously, it makes sense to prioritize accessibility when it comes to your tools and the tackle box they’re kept in. When you go looking for a good tackle box, look for how it distributes the tools kept within. Does it use trays? How well do the trays come out? Or do you have to take them out yourself? Can you rearrange the interior to your liking if you’re unsatisfied with how it’s organized? These are all pertinent questions to ask when sizing up the accessibility of the tackle box you’re looking at. But even the most accessible tackle box in the world won’t do you much good if there isn’t enough room to store what you need in there in the first place. Often times it isn’t the lack of skill that makes the catch of the century getaway, it’s the fact that you couldn’t bring along the right tool for the job. If you can, give the box the once over, how many pockets does it have? Compartments? Trays? If it’s all three, then you’re definitely on the right track to a purchase, because this is something you don’t want to go halfway on. You need to make sure that the tackle box you’re buying has more than enough storage than you’ll reasonably need, because rest assured, no matter how much room you make in your tackle box, you’ll find a way to fill it to the brim. And now for the big one: price. The SKB would’ve been significantly higher if not for the insane price that retailers ask for it. 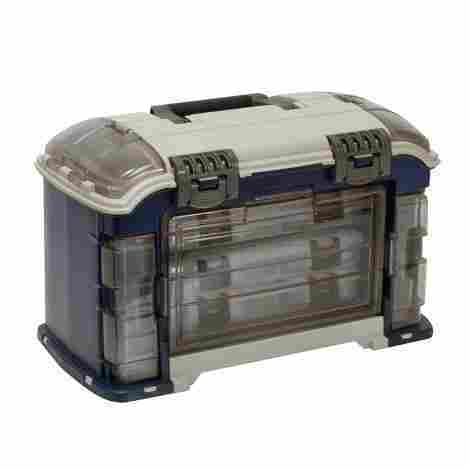 Price can make or break any product, especially tackle boxes. Fishing can become a very expensive hobby and definitely an expensive profession as it is, so people tend to settle when it comes to their tackle boxes because they don’t feel the need to blow so much money on “just a tackle box.” However, this mindset is flawed in multiple ways. Obviously, tackle boxes are worth a lot more, as we have thoroughly proven. The typical price for a tackle box is between $30-100 give or take. Larger or higher quality tackle boxes usually cost a good deal more, so if a tackle box does cost over $100, then criteria shifts to how well they make up for the exorbitant cost. Finally, we look at the versatility of the tackle box. What does versatility mean to and how does it apply to tackle boxes? 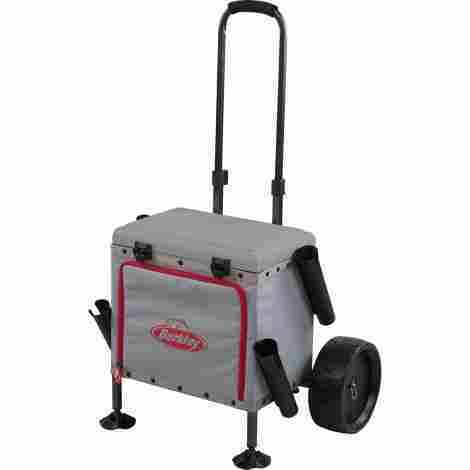 Well, versatility, in this case, would refer to a tackle box both being able to be dragged on wheels like a suitcase, yet also having a handle to carry it around like a bag. Versatility is important in every product, including tackle boxes, so it’s one of the key criteria to list qualification as well as list placement. But every subject, every product, has those unanswered questions that make for a good beefy FAQ section. Here are the most frequently asked questions about tackle boxes, and their answers. Q: What are tackle boxes generally made of? A: Well, ignoring outliers like SKB’s monster of a tackle box, there are actually a wide variety of materials that tackle boxes can be made from. Nowadays, though, there is a commonality. The most common material used in every blend is a kind of molded plastic that’s impervious to cracking, staining or weathering. On the flip side, you have tackle boxes made of cloth, these are made of ripstop nylon and other related materials. These are fabrics that, while not impossible to tear, have a knack for stopping the tearing object before it can make it all the way through. Q: Are there any types of tackle boxes meant for more specialized fishing, like fly fishing? Do I need to get one of these boxes? A: There aren’t really any tackle boxes out there that are specially designed for certain kinds of fishing. All tackle boxes are meant for all types of fishing. However, some are better suited than others. For instance, if your fishing style uses a lot of lures, then a tackle box with racks is the best choice for you, as they have a series of boxes that are pulled out one by one. Meanwhile, tray tackle boxes, the ones that look like tiny toolboxes, and by far the most commonly recognized form of the tackle box, are a great choice for the beginner angler, or for folks that prefer to fish on the bank. They’re great for the latter because people who fish on the bank are usually only bringing the essentials, except under certain circumstances. Q: What are the essentials then? 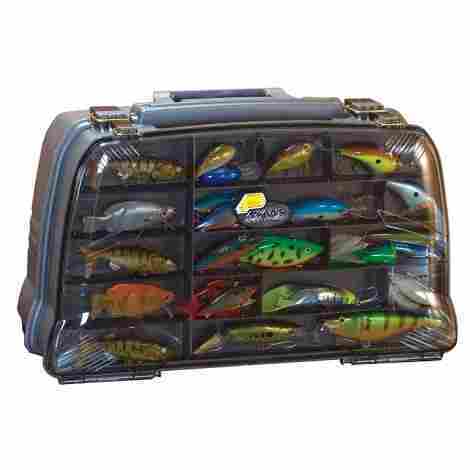 What are the most important items to have in a tackle box? A: While it varies depending on the kind of fisher you are, there are some commonalities that you would be remiss not to have. Obviously, the first is an extra line. There’s always a need for more line. Also, hooks, and plenty of them. If your line breaks, then you’ll need a new hook on top of needing a new line. And of course, lures, bait, and tackle are essential to any tackle box. Finally, needle nose pliers. Rest assured that you will more than get your money’s worth out of needle nose pliers. You’ll also need floaters and sinkers. These will help you, especially if you’re new at the whole fishing thing, to determine when the right time is to start pulling in the line. They sink down under the water when the bait is taken by a fish, indicating along with the pull of the line that you need to start reeling. Finally have a first aid kit handy, because you can never be sure of what’s going on out there. Also, sunscreen, especially if you’re going out on the water via boat. If you need to know why, look up what happens to folks who go out on huge, refractive bodies of water without proper protection from the sun, and you’ll understand. Q: I’m pretty new at this, and I need to know how to organize my tackle box. I understand that the case is different depending on the box, but even so, are there any pointers you can give me? A: Oh yes, plenty, in fact. How you go about organizing your tackle box depends entirely on your personal style of fishing, what kind of fish you’re going after, and how many people you’re bringing with you who will be using the tackle box. If you’re a bank fisher, as we went over, you won’t have a lot other than the essentials. So, if you’re working with a tray tackle box, you’d be best just to have all the essentials included on the top tray. The only reason you’d use the others is if you’re bringing someone along with you and don’t want to get yours and theirs mixed up. If you’re an angler, on the other hand, you may find that keeping certain items in certain areas of the tackle box is the best decision for your particular type of fishing. For instance, say you enjoy fly fishing for trout on the river, and you need to organize your tackle box. You could sequester everything into its own special area. Or you could make sure everything is in one place where you can easily reach it without any fuss. One tip that should be considered universal, however, is that you should make sure that the essential tools, the extra hooks, bobbers/floaters, hooks, lines, etc. are all in one spot on the outside of the tackle box where you can reach them at a moment’s notice.